What I did was to create a table of data from the chart I was given then ask Excel to create a Stacked Column Chart. That’s it apart from adding chart titles and an axis label and so on. 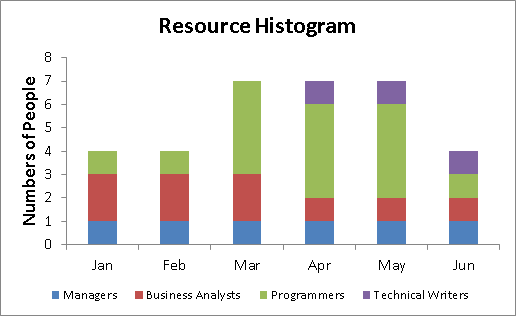 Here is the table of data I put together and on which the above Resource Histogram is based.